Improving your home's energy efficiency really helps in reducing your carbon footprint and saving you money. High efficiency heating and air conditioning units save you a lot of money over the long-term. This is because you use less fuel while keeping your indoor spaces warm in the winter and your AC doesn't need as much energy to keep you cool in the summer. it's time to start thinking about how to make your furnace more energy-efficient. Of course, one of the best ways is scheduling a heater tune-up. This enables your furnace to work at its best throughout the winter months. In this article, we will discuss some tips for how you can make your home more energy-efficient throughout the fall and winter months. Stopping energy losses makes your home more energy-efficient because you've prevented the heat from escaping outside. When you seal up any gaps or holes in your home, you'll cut your energy bills by 20%. These heating materials should only cost about $20, so take some time to buy and use them in the fall before the temperatures drop. 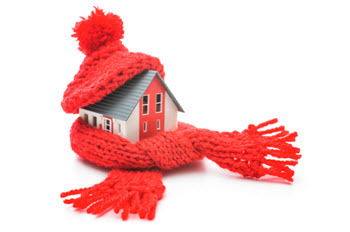 Conduction across your home's exterior walls is another major cause of heat loss. by adding more insulation material to your exterior walls, attic, basement, and crawl space. If this isn't something you feel you can do yourself, hire a competent HVAC contractor to do it for you. Any competent HVAC company will use a thorough furnace tune-up checklist for your gas or heating oil system. In doing so, they're making sure that it's ready to work well throughout the winter months. This also helps promote your furnace's energy efficiency, reducing both your heating and repair costs. When you do this, your home feels more comfortable as your furnace performs more effectively. These are great reasons why you should have a heater tune-up done every fall. Although many homeowners worry about furnace tune-up cost, it's actually a small price to pay for the amount of money you'll save and the other great benefits you'll also receive. Your thermostat doesn't always need set at the optimal temperature. For instance, when you go to bed or when you leave your home, you should turn the thermostat down 10 degrees below what you'd normally set it at while you're awake at home. You won't notice the difference if you're not home or you're under a lot of covers at night. 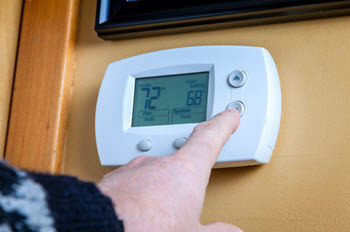 Once you return home at the end of the day or get up in the morning, you can turn the thermostat back up to what you consider as the optimal temperature. This is much easier if you have a programmable thermostat installed because then it will remember your settings. You'll make up for the money you pay for the thermostat by what you'll save in energy costs over the winter months. Throughout the cold winter months, your air is dry and lacks moisture. When this happens, you're breathing dry air, which isn't very comfortable. Dry air also isn't able to carry heat very well. The best way to remedy all of this is by installing a humidifier in your home. This will improve your home's energy efficiency by adding moisture to the air that circulates heat throughout it. Before winter rolls in full force, make sure you get a tune-up for your heater. This really will make your furnace more energy-efficient so you pay less for your home's heating bills. If you haven't already had a heater tune-up and you're discovering that your heating bills cost a lot of money, it's probably because it needs professional heating system maintenance. This also helps you prevent other minor issues from occurring throughout the winter months, if not a major breakdown. 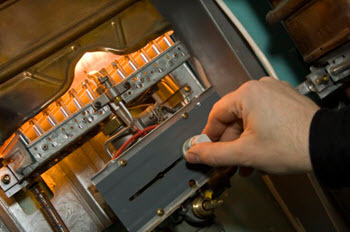 Heating system repairs are much more expensive than the cost of a heater tune-up. Also, you can benefit by experiencing reduced energy costs and a higher level of comfort. When looking for a furnace tune-up near me, be sure to contact the professional HVAC contractors at Result Home Services. We can get your heater ready for winter so that your home heating costs don't skyrocket and you can enjoy a nice and cozy home. Be sure to contact our office today to schedule an appointment.